The California Gull is not found just at the Ocean like many other gull species, but breed inland from Southern California, north in to Canada and as far east as New Mexico, Colorado, Nebraska and the Dakotas. Before the 1930s, it was estimated that 80% of the California Gulls bred near the Great Salt Lake in Utah. Since then, new breeding colonies have been establised on newly built reservoirs across the West. 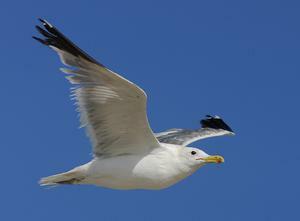 Most of the new colonies were near larger towns and cities where gull can feed at garbage dumps. California Gulls also like to forage on insects that are found on agricultural croplands (hence the reason for being the State Bird of Utah). The amount of irregated cropland grew from almost none in the Western States in the 1850s to hundreds of millions of acres today. All of these factors contributed to the increase in the numbers and breeding colonies of California Gulls throught the West. 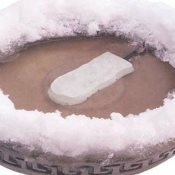 Diet: Insects, invertebrates, vertebrates; worms, mice, other birds and their eggs, garbage; in winter, takes crabs and fish but mostly scavenges (especially fish). Voice: Hoarse, scratchy, somewhat deeper than Ring-billed; harsher and higher than Herring; never clear tones. One common single note gaaal similar to Great Black-backed. Long call rapid, high, wheezy. Displays: Complex soliciting; courtship feeding; "choking" (swollen neck held in "S," breast pointed at ground). Male head tosses, neck stretches, calls. Nest: Of sticks, dried weeds, rubbish, feathers; often concealed under vegetation. Eggs: Averages 2-3 brown/olive/gray/olive-buff eggs, marked with dark brown/gray. 2.7" (68 mm). Brine flies (or alkalai flies) hatch in increadible numbers in places like the Great Salt Lake and Mono Lake. This is a short video of a California Gull scaring up and eating brine flies. I have also see coyotes eat brine flies. According to the Utah Division of Wildlife, there can be as many as 370 million brine flies per mile of shoreline. Check out the Nesting Colony in Wyoming. The video even shows gull egg that are being incubated in the snow. The "California Seagull" was selected as the Utah State Bird by an act of the legislature in 1955. The gull is considered the State Bird of Utah by common consent, probably in commemoration of the fact that these gulls saved the people of the State by eating up the Rocky mountain crickets (Mormon crickets)which were destroying the crops in 1848. Orson F. Whitney says that in the midst of the devastation of the crickets, "when it seemed that nothing could stay the devastation, great flocks of gulls appeared, filling the air with their white wings and plaintive cries, and settled down upon the half-ruined fields. All day long they gorged themselves, and when full, disgorged and feasted again, the white gulls upon the black crickets, list hosts of heaven and hell contending, until the pests were vanquished and the people were saved." After devouring the crickets, the gulls returned "to the lake islands whence they came." 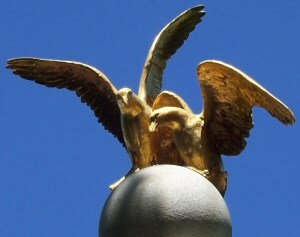 The Sea Gull Monument in Salt Lake City honors the California gull. Two sculptured gulls stand atop the monument which was unveiled in 1913 on Temple Square in Salt Lake City. 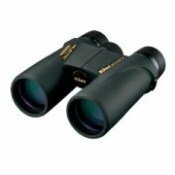 Best mid-priced bird watching binoculars. Waterproof, shockproof, multi-coated ED-Glass. 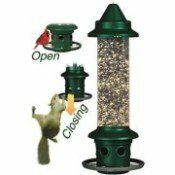 No batteries, adjustable, easy to clean...and no squirrels! Subscribe to Our FREE Newsletter: The Birder Alert! I promise to use it only to send you The Birder Alert!. Copyright ©2006-2019 Birdwatching-Bliss.com All Rights Reserved.